The San Antonio Scorpions put an end to the Tampa Bay Rowdies’ unbeaten streak on Saturday night, and did so in emphatic fashion, notching a 3-0 victory in front of the home fans at Toyota Field. 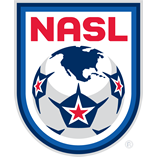 Scorpions forward Omar Cummings played a role in all three goals, earning NASL Player of the Week honors. 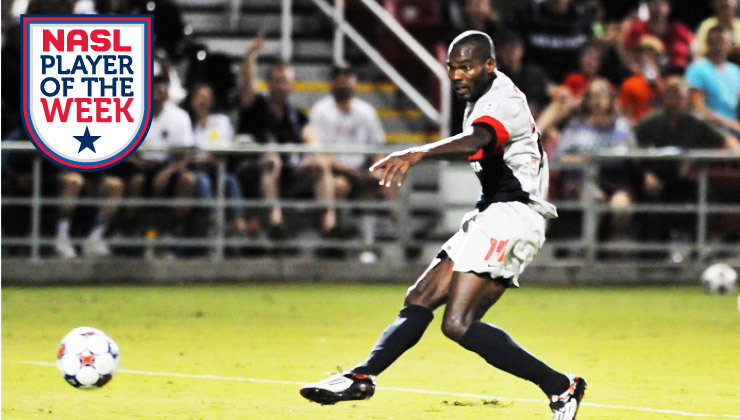 In a match where the club lost one of its veteran leaders, James, to a serious leg injury, Cummings helped the Scorpions get off to the perfect start against the visiting Rowdies, providing the pass that led to midfielder Marvin Chavez’s goal in the 11th minute. The Jamaican veteran then found the net, not once but twice in the second half, beating Rowdies goalkeeper Matt Pickens in the 54th and 62nd minutes to wrap up a comfortable win. The pair of goals on Saturday put Cummings back atop the league’s scoring chart. The Old Harbour, Jamaica, native now has seven goals thus far in 2015, one more than FC Edmonton midfielder (and fellow Jamaican) Lance Laing. The 5-foot-10 forward, who has 35 caps with the Jamaican national team under his belt, joined the Scorpions prior to the 2015 season. Cummings played in Major League Soccer (MLS) from 2007-2014 - first with the Colorado Rapids and then with the Houston Dynamo – tallying a total of 42 goals and 30 assists. He won the 2010 MLS Cup with the Rapids, who were coached by current Atlanta Silverbacks manager Gary Smith. Cummings and the Scorpions will remain in San Antonio ahead of Wednesday’s match against FC Edmonton at Toyota Field. Kickoff is set for 8:30 p.m. ET and the match can be seen live on ESPN3, among other outlets.